In the world of mobile fraud, New Devices is a term used to describe devices that have not yet generated significant amounts of activity. The only platform to have sufficient scale to effectively identify New Devices is DeviceRank™. Because DeviceRank™ is built on the world’s largest anti-fraud database – containing over 4 billion devices – only pre-install campaigns should deliver large numbers of New Devices. 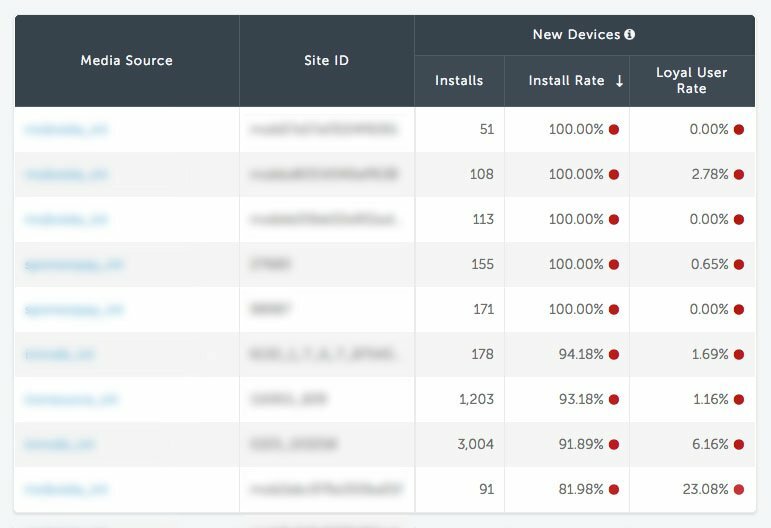 Using Protect360, marketers can easily identify which sources send large numbers, or high densities of New Devices. This is the only timely and accurate way to detect DeviceID Reset Fraud and DeviceID Reset Marathons.